Former Brisbane Broncos star forward Sam Thaiday was here last week to launch the Eastern Highlands Rugby League tournament. 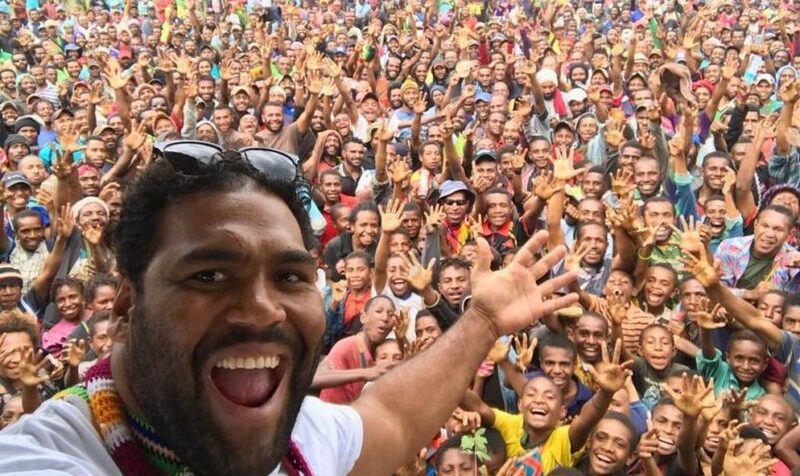 Unsurprisingly, Thaiday got a rousing welcome wherever he went. Post Courier reported that Vice Sports Minister Wesley Raminai and the Minister for Mining Johnson Tuke were expected to accompany Thaiday to Goroka for the launch of the Eastern Highlands Super 8s rugby league tournament. Thaiday was reported to have said that through sports he will be able to share his knowledge and advise young players and the community to be good citizens in the community. He further added that his talks will also be based on education and about living healthy lifestyles in the community, especially on self-discipline because through sports there are a lot of opportunities ahead. So it seems that Thaiday may have been here along with Mayur Resources a company that intends to build a coal mine and power plant in PNG. While those who supported Sam on Twitter were thankful of his presence in launching a grassroots competition, it was more the association with Mayur that raised the ire of locals on Twitter. And subversively push the coal agenda?! No thanks. Neither Sam nor his coal agenda are welcome in #PNG. 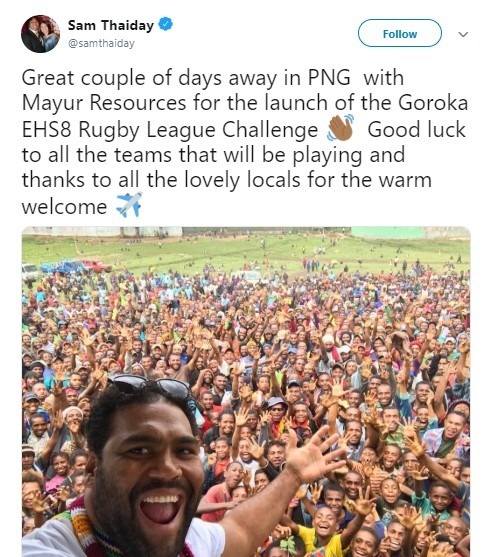 Rugby League players will always have an influence in the country given that PNG is the only country that treats rugby league as its national sport and youngster go ridiculously mad at the sight of seeing “their” stars. 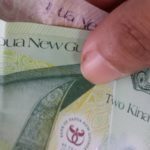 But event organizers and local politicians should be mindful in their association with stars and financiers particularly those whose activities may have negative repercussions to the community. It’s even more worrying when these companies are involved in an event that has young kids participating in it.